The Mini Mes are now both tweens and it seems to get harder to keep them entertained and away from technology each summer. 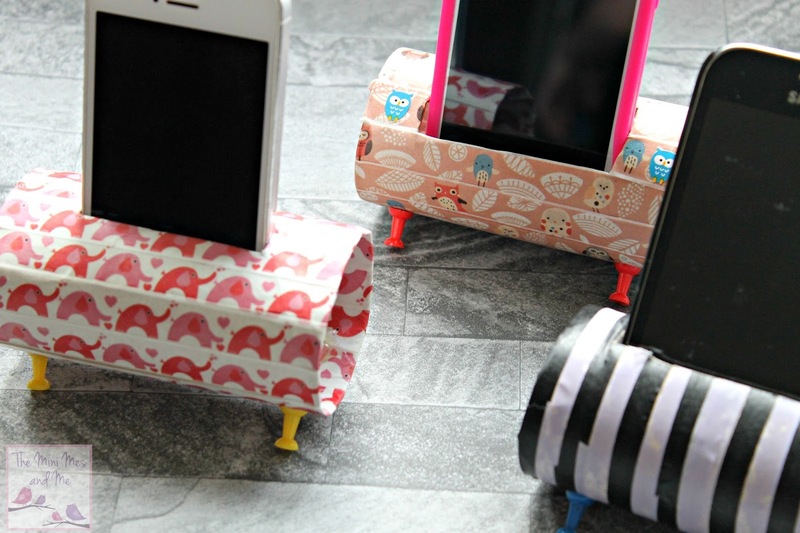 Finding activities that they will enjoy and appreciate can be tricky but as they both have mobile phones this craft is ideal for keeping them off their handsets to be creative by making something they will both find useful! There are two different versions that you can try; one to hold your mobile while it's on charge, the instructions for which follow later this summer, and one to display your mobile on a bedside table or desk, which is below. Both use items you will probably have in your recycling tubs already so you won't need to pay out a penny either - it's frugal! 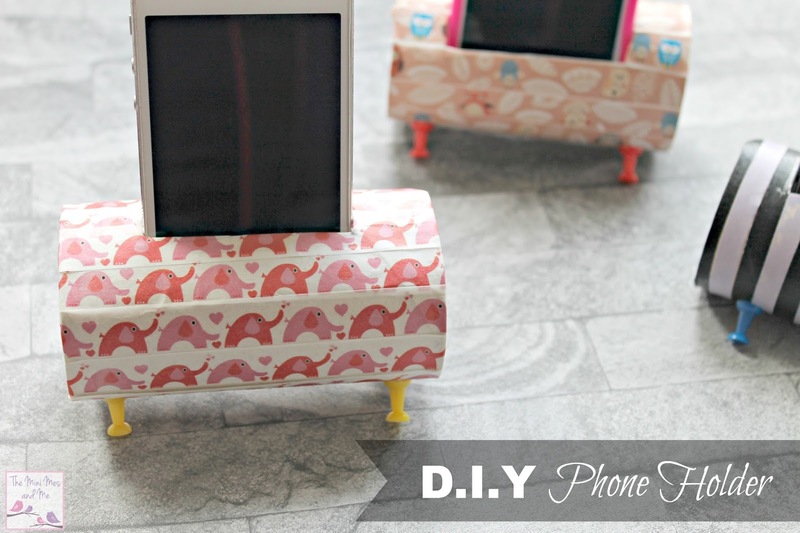 Thats a fantastic crafty project for the summer holidays !! ... they can personalise them as they want then... I will be pinching this !! Oh this is genius! i love it. Please do join me for Trash 2 Treasure, there is one open now or a new month starting on Monday. The simple ideas are often the best. This would really appeal to my teens. These are so very sweet and practical too. These are absolutely great! Not only the perfect rainy day activity but really useful too! Me and my oldeer girls will be making these very soon!